Adjacent to the VIC, there is a1,200-car facility that has proven to be our visitors' favorite location for quick-and-easy parking. Open 24 hours a day, 365 days a year, the parking facility is conveniently located within walking distance to St. George St. and San Marco Ave., as well as the Castillo de San Marcos National Monument and Francis Field. $15 per vehicle, per entry. Gratuity for your Tour Host and/or Carriage Driver is not included in the price of the tour. Although not expected, it is happily accepted. Standard gratuity ranges from 15%-20% of the per person tour price. Full refund with a minimum of 48 hour notice prior to the start of the tour. Guests will also receive a full refund in case of operator cancellation, due to unforeseen circumstances, on our behalf. Please note: We are happy to reschedule your tour for a later date, should an emergency arise. However, no credit/refund will be given for day-of cancellations, partial attendance, no-shows or late arrivals. All tours depart promptly at scheduled times with or without you. Camera to capture all the great foodie moments! Umbrella for shade or inclement weather. The tours go out rain or shine. Drink enough wine and you won't even notice! Comfortable shoes, if on a walking tour. Walking tours can cover a distance of up to and beyond 10 city blocks. There may be stairs to climb and sidewalk with inclines (without handrails). The ability to climb is required for carriage tours. Cozy blanket, if on a carriage tour during the winters months. As wine and/or beer is served on the tours, legal drinking age restrictions apply (21 years and up). Liability and age verification waivers will be signed upon arrival. Please be prepared to show your ID. ​When making your reservation, please note any dietary restrictions or food allergies (vegetarian, nut or seafood allergy, etc). We will do our very best to accommodate your needs, but cannot always guarantee. 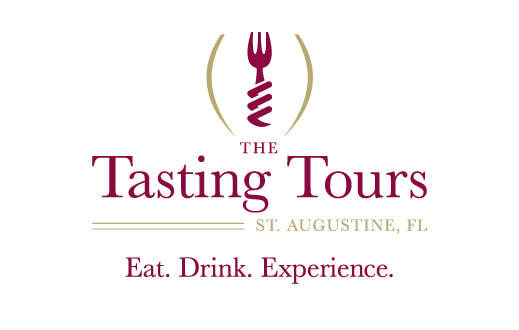 Depending on the tour selected, our experiences are inclusive of food, wine/beer and a professionally hosted city tour in route to each venue. We have a rotating selection of over 30 venues that we utilize. A sample of the food themes you may enjoy: Italian, Polish, Spanish, Farm to Table, Greek and more. Yummo!